British fashion designer and businesswoman Vivienne Westwood has made her rap debut on a song about climate change, austerity and the mainstream media. Teaming up with UK MC Mic Righteous, Westwood has contributed a spoken word piece called ‘Intellectuals Unite Climate Revolution’ to Mic Righteous’ song ‘Be There‘, in which she gives her assessment on the current state of migration, perpetual war and the world’s changing climate. The song also features a chorus from the singer Tone. 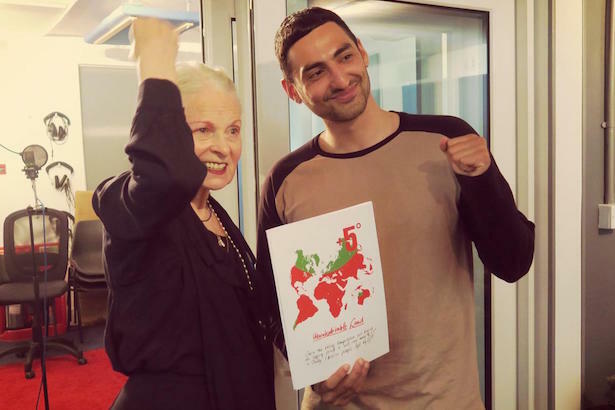 All royalties from Westwood’s ‘Intellectuals Unite Climate Revolution’ piece will go to the charity Refugee Council, and ‘Be There’ will feature on Mic Righteous’ album Dreamland, which is set for release on October 26. Stream the track in full, below.